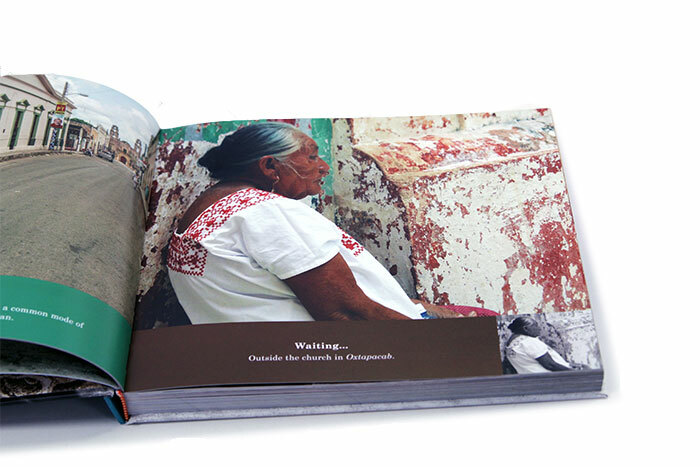 To commemorate ten years of this labor of love, we have put together a book of some of our favorite photographs to communicate the experiencia of living here in the Yucatan. All of these photos taken together create a colorful tapestry of what life has been for us in the Yucatan. Ten Years of Yucatan Living is a perfect holiday gift for yourself if you live here, or for someone you know who loves the Yucatan. It makes a great gift for family members who wonder why on earth you moved here, or who have visited a few times are beginning to understand why. 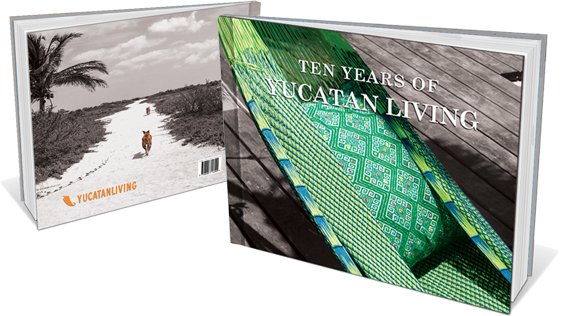 Ten Years of Yucatan Living will be a perfect addition to any vacation rental coffee table in Yucatan, or a great commemorative gift for anyone who has traveled here and fallen in love with Yucatan. 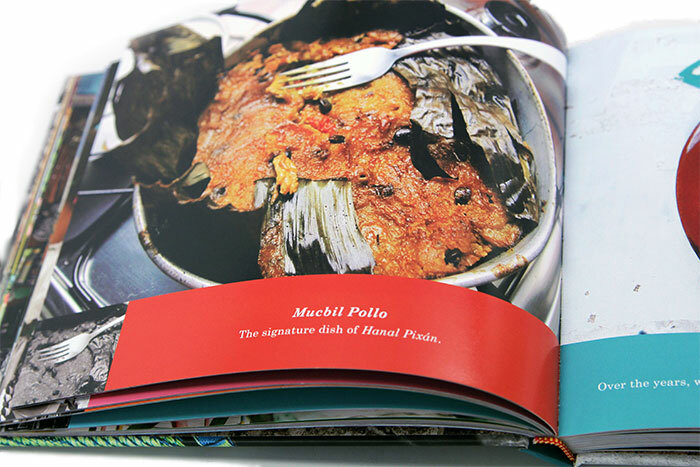 The book is a hardcover book with 200 pages of full color photographs. It weighs 1.2 pounds and measures 22.5 x 19.5 cms. Sorry for mixing metric and non-metric measuring systems but hey... that's what it's like being an expat! We recognized a need for the growing number of English-speaking residents of Merida and Yucatan to have a website of their own. We wanted to provide a website that was geared to the people who lived on the Yucatan Peninsula or visited for a long period of time... people who had already been to Chichen Itza a dozen times, who had eaten a panucho or two and who wanted to delve deeper into their experience of being in this unique place. We started by talking about ourselves and our experiences... what it was like to feel you needed a sweater during a norte, to have a pib cooked for you, to make your own Hanal Pixan altar. We also wanted to help people understand how their plumbing worked, what that weird bug was in the hallway, how to dial a phone number and who to call if they needed help right away. We helped people understand more about dentists in Merida, how to pick the right cel phone provider and what to know about electrical appliances in this environment. Over the years, we've provided lists of schools in Merida as well as places to learn Spanish. We've provided year-over-year comparative cost of living information. And we have consistently provided a weekly news wrap-up and a calendar of interesting or important events... all in English. And intertwined through all of this have been the photographs that we have taken and collected over years of traveling around the Yucatan Peninsula. We've had assignments to photograph haciendas, school buildings, hotels and vacation rentals... sometimes in Merida's centro, sometimes in far-off corners of Yucatan. Wherever we have gone, we have photographed the people, the buildings, the weather, the animals, the flowers, the ruins and everything else that caught our eye. Full color photos from far-flung corners of the Yucatan. Make no mistake: if you want a copy of this book, order yours now. Yucatan Living has a large and loyal audience of people who love the Yucatan. This is a beautiful limited edition book of photographs ... we have financed the printing ourselves and therefore, the number of books available is extremely limited. Buy one for yourself, and get one for a friend! You will enjoy this book for years to come.